Captain for a Moment. 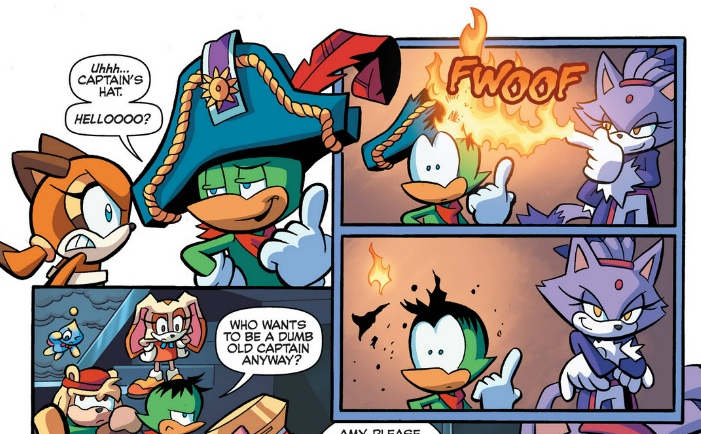 boon gets cocky with his new captain's hat. 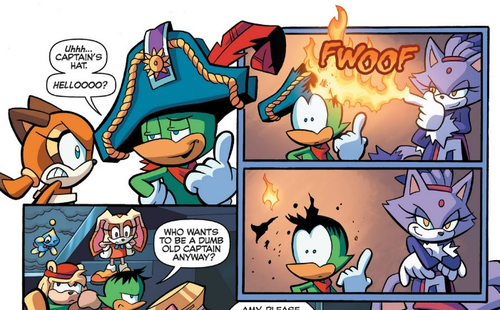 Blaze does not approve of his antics.. Wallpaper and background images in the Blaze the Cat club tagged: photo blaze the cat bean the dynamite duck sonic universe 57 captain hat. This Blaze the Cat photo contains anime, grappig boek, manga, cartoon, and stripboek. There might also be glas in lood raam and glasraam.